An alcoholic seized his partner by the hair and then repeatedly punched her face and body. 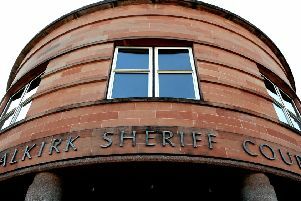 William Burns (35), 14 Ryden Mains Road, Glenmavis, Airdrie, admitted the assault he committed in Rashiehill Road, Slamannan on March 24. He was placed on a community payback order with the condition he complete 100 hours unpaid work within four months.